Nigeria, a country endowed with numerous natural energy resources such as crude oil, gas, coal, hydro, wind, biomass, solar, geothermal, tidal and even uranium has adopted a multi-faceted approach to meet its energy requirements. Despite the wealth of resources, emphasis has been placed on using conventional sources such as hydro, oil and gas for energy generation. Over the past 5 years, at least seven power plants have been built or planned in order to augment the current 6 GW capacity to about 10 GW. However, it is clear that deficits in energy cannot be overcome based on projected requirements in excess of 10 GW. By comparing the GDP per capita energy consumption of similar sized countries that have undergone industrialization, the task ahead of Nigeria becomes apparent. Based on projections, Nigeria will need to generate at least 20 GW of electricity by 2020 in order to meet demand. The difficulty in achieving these targets becomes even clearer. Diversification of the power sector from the use of hydro, oil and coal has been undertaken as well as increased investment in clean sources of energy such as wind and solar energy. Despite the abundance of these resources i.e. wind and solar, Nigeria has been unable to fully adapt their capabilities into its national grid. Solar energy requires the use of expensive solar panels prone to degradation. On the other hand, wind requires large wind farms to harness the resource. Regardless, the major limitation in both cases is the relatively low energy generation per capita in comparison with conventional sources of energy. Therefore, it becomes imperative to explore other reliable forms of energy generation. Of particular interest here is nuclear energy. Developments in nuclear energy capabilities have followed an interesting path over the past decades since its destructive birth after the 2nd world war. Previously considered dangerous, the benefit of nuclear energy has been extensively assessed as opposed to its proliferation. Despite the nuclear accidents/disasters that have occurred such as Three Mile Island, USA (1979), Chernobyl, USSR (1986) and more recently in Fukushima, Japan (2011), nuclear technology is still gaining pace as a reliable source of green energy. Therefore, it is unsurprising that the number of new nuclear plant builds/plans is on the rise today. The main benefit of nuclear technology is its ability to produce clean energy at relatively low cost. Apart from infrastructure, the cost of operating a nuclear power plant is relatively lower than other conventional sources. Of course, this assumption is only valid provided nuclear fuel (Uranium) is easily accessible. Nigeria is known to possess large deposits of Uranium in several states such as Cross River, Adamawa, Taraba, Plateau, Bauchi and Kano. Therefore, in the current economic outlook in which “˜diversification’ is the watchword, it becomes imperative to evaluate the future outlook of energy generation in Nigeria. It is expected that Nigeria should begin to look towards a nuclear future on the basis of its wealth in resources and capital. With the current spate of investments in Nigeria such as in automobiles, steel production and other energy intensive manufacturing firms, the demand for energy will skyrocket leading to increased supply gaps. It also becomes apparent that current stop-start attempts to bridge the gaps using conventional sources such as gas will not correct the anticipated deficit. Whilst Nigeria remains the largest supplier of Gas in Africa, this is a finite resource which must be managed to ensure that future generations benefit from current reserves. A nuclear outlook in Nigeria requires three key ingredients. First, there is a need to develop some in-house understanding of the technology through research. This has commenced on a small scale through the Centre for Energy Research and Development (CERD) at Obafemi Awolowo University and nuclear units in other prestigious universities such as University of Ibadan, Ahmadu Bello University (ABU) and University of Port Harcourt. More recently, the Nigerian Atomic Energy Commission was established to cater for the increasing drive for developments in the nuclear sector. It is also worth mentioning that CERD (established as early as 1978) has an accelerator and that the nuclear research centre in ABU has a research reactor for training purposes. Therefore, it is imperative to further the build-up of human capabilities by creating tangible plans for a nuclear powered future in Nigeria. Whilst this is not an easy task, the blueprint to achieve this is not far-fetched as African countries such as Egypt and South Africa can be used as case studies. Egypt has five nuclear power plants under construction due for commissioning between 2020 and 2025 while South Africa has a currently functional plant (Koeberg). Furthermore, the wealth of human capital in the Nigerian diaspora with technical capabilities in the nuclear sector can be drawn upon. Second, politics trumps policies, therefore, a conducive political climate is required to envisage a nuclear future. An attempt to implement nuclear technology will require an enormous financial undertaking, most likely beyond the capacity of government alone. An average of 1.5 billion dollars per gigawatt has been estimated as capital cost for building a nuclear power plant. Whilst this is higher than the capital costs required to build similar sized conventional power plants, independent statistics from the US Energy Information Administration (EIA) indicate that the total cost of running a nuclear power plant can be significantly lower, thereby rendering nuclear power more profitable long term and an attractive venture for investors. Public Private Partnerships typically offer a solution to solve the issue of funding however, a stable polity is the required incentive. Nigeria has shown itself as a growing stable polity by embracing democracy – highlighted by the just concluded electoral process. Finally, public acceptability and safety is an important issue in developing nuclear technology. Based on the current trends in maintenance culture in Nigeria, an attempt to develop nuclear capabilities will meet some scepticism. Current energy generation capacities have deteriorated significantly with some requiring significant reinvestment. However, the current political outlook is more promising than ever to cater for an advanced technology like nuclear power plants which have well documented safety routines. To commence, independent firms could be tasked with securing the nuclear program. Nigeria is still far off from implementing this technology however, nuclear power generation is typically regarded as a hundred year venture encompassing stages of planning, operation and decommissioning. For a country blessed with this rare resource (Uranium) well spread across its geographical zones, human capital both at home and abroad, financial muscle, and, an increasingly attractive polity for investors, a retrospective evaluation which goes beyond the current short term energy generation policies should be pursued. T.O. 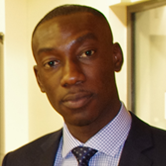 Erinosho is a researcher in the Department of Mechanical Engineering, University of Bristol. I pray to God for our leaders to have their eyes open to see what potential the future holds for Nigeria in the field of industrial plant, processing and development which requires unstoppable and consistent electricity generation. In 1978 during the election campaign Chief Obafemi Awolowo made mentioned of this required acquirement necessary for future development in Nigeria. But why Nigeria never elect the best President is still the reason for our backwardness.